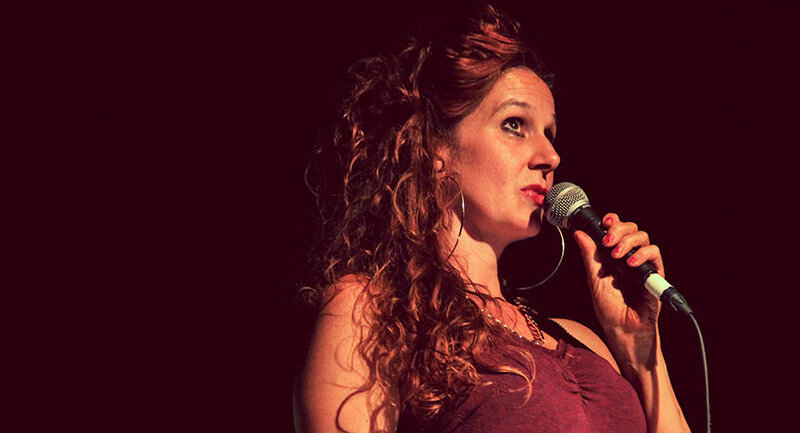 Annie Siddons is a London based and raised writer, performer and dramaturg. Her work is hilarious, brutal, honest and poetic, embracing the mythic and the mundane, sitting somewhere in the intersection between comedy, theatre, spoken word and live art. Music and narrative are always central. As writer/performer, Annie created Raymondo in 2014, which ran at Summerhall as part of Escalator East to Edinburgh, then returned in 2015 for the British Council Showcase, touring across the UK 2015-16. She followed Raymondo with How (Not) to Live in Suburbia, her first autobiographical work. The show, an unflinching look at her own chronic loneliness, featuring videos by performance artist Richard DeDomenici, played Summerhall 2016 before two sell-out runs at the Soho Theatre 2017. As part of making the show Annie trained as a Samaritan. Suburbia toured the UK in Spring/Autumn 2018/2019. How (Not) to Live in Suburbia lead to Annie making her TV debut on Alan Davies’ chat show, As Yet Untitled.It's also been part of a cross disciplinary symposium on Loneliness at UCLAN in November 2016. More symposia are planned for 2019/20 and she is currently developing it for TV with Inez Gordon. Her most recent show, Dennis of Penge, a mythic spoken word show about addiction, friendship, Dionysus and her childhood ends of SE20 with music by Asaf Zohar played at Ovalhouse and Albany Deptford in autumn 2018.It will tour in autumn 2019. Her new show, Hybrid Emergency, made with Ursula Martinez, explores the divided self, authenticity, identity, and being in between. It will be developed throughout 2019. She has just finished working with Ruthie Osterman on the ground breaking live streamed theatre piece Babylon Beyond Borders which played at the Bush. As playwright/ dramaturg, she has worked with Kneehigh, Bristol Old Vic, The Bush, Battersea Arts Centre, Teater Sagohuset, the Gate, National Theatre Studio, Shakespeare’s Globe, The Unicorn, Glasgow Citizens’ Theatre, Filament Theatre, Undercurrent Theatre. Rapunzel, written for her young daughters in 2005, was picked up by Kneehigh in 2006 and did two London runs at BAC and London's Southbank before touring the UK and US. It's since been remounted 8 times. In Jan 2018 she dramaturged on Caroline Byrne's production of All's Well that Ends Well at the Globe. In January 2019 she was awarded a Developing Your Creative Practice Grant by the Arts Council. In February 2019 she is appearing in Dear Elizabeth at The Gate. In 2019 she is dramaturging with Edith Tankus, Bunny, Nick Cassenbaum, She-Goat, Brian Logan, and Caroline Horton. Annie regularly mentors younger and emerging artists particularly those from challenging backgrounds and works collaboratively and alone in a variety of settings. She is published by Oberon Books. If you’d like to work with Annie please get in touch. “Theatre artists are essentially charlatans and thieves”. Simon McBurney.